NEVADA, March 9, 2018 – Starting on July 1, 2018, motor vehicle owners with state minimum auto insurance coverage will be required to raise their policy's liability limits to 25/50/20 in accordance with Senate Bill 308. The bill was approved by Governor Brian Sandoval in June of 2017 and requires a nearly two-fold increase from the state's current minimum liability limits of 15/30/10. Nevada is only one of eight states to offer such low limits, in spite of the fact that medical treatment in Nevada is relatively high in comparison to surrounding jurisdictions. Liability coverage, which ensures that the at-fault driver in a collision is able to provide indemnification for the person hit, is mandatory coverage that makes provision for both medical expenses and property damage. Under the new bill, state minimum liability coverage will cover up to $25,000 of medical expenses for the driver that was hit, a maximum of $50,000 in medical expenses for all the passengers in the vehicle that was hit, and up to $20,000 in property damage. Liability insurance provides no coverage for the at-fault driver; the coverage is exclusively to compensate the driver who was hit. While drivers that carry minimum coverage may see an increase in their monthly premium as these new changes take effect, overall, this is a positive change for state drivers. If a driver with state minimum coverage is at fault for a collision, their insurance may not provide sufficient compensation for damages. In the event of a collision in which the costs of damages exceed the insured's policy limits, the insurer may attempt to procure a written statement from the claimant stating that they will not pursue the insured for indemnification beyond their policy limits. However, the claimant is not required to provide this statement. The insured would be responsible for providing full indemnification. If a claimant pursues further payment for damages and the insured is unable to provide payment, then the claimant may bear the financial burden of medical bills, lost wages, damages to personal property, and other accident-related expenses. The new minimum liability limits would ensure more adequate coverage for claimants, preventing them from the financial devastation that can result from a collision. Ever-increasing medical costs, as well as advances in automobile technology, have forced insurers to raise their rates over the past several years. Opponents to the new law complain that Nevada's auto insurance premiums are already burdensome for state drivers and that the increase in coverage will drive up costs for policyholders. Many have suggested that the threat of higher premiums will result in more uninsured drivers on the road. 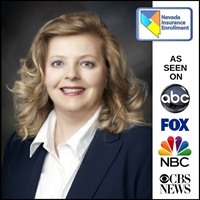 However, Nevada's uninsured drivers are required to pay high fines, and most believe that these fines would discourage drivers from foregoing mandated insurance coverage. Drivers with state minimum liability coverage are required to update their auto insurance policies with their insurers to ensure compliance with the new law. Failure to do so may result in fines or loss of coverage. Drivers are encouraged to contact their insurers to ensure that their policy is up-to-date.